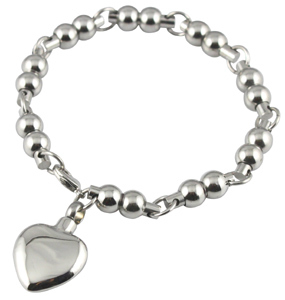 Chelsea Design 2 keepsake bracelet with urn charm is a beautiful way to keep a small token amount of ashes with you. 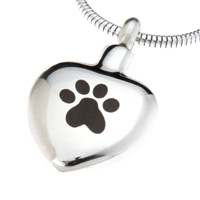 Cremation jewellery holds a very small pinch of a beloved dog's ashes in the neck of the charm. The classic simple heart charm is the perfect way to discreetly keep the ashes of a loved one close to you.